Did you see me post a teaser about this on Instagram? Our 4th of July Bread is incredibly sweet and ridiculously easy to make. Yet, it is so festive and patriotic looking. Don’t you just LOVE that? As you may or may not know, if I’m going to cook- it’s going to be an easy recipe. 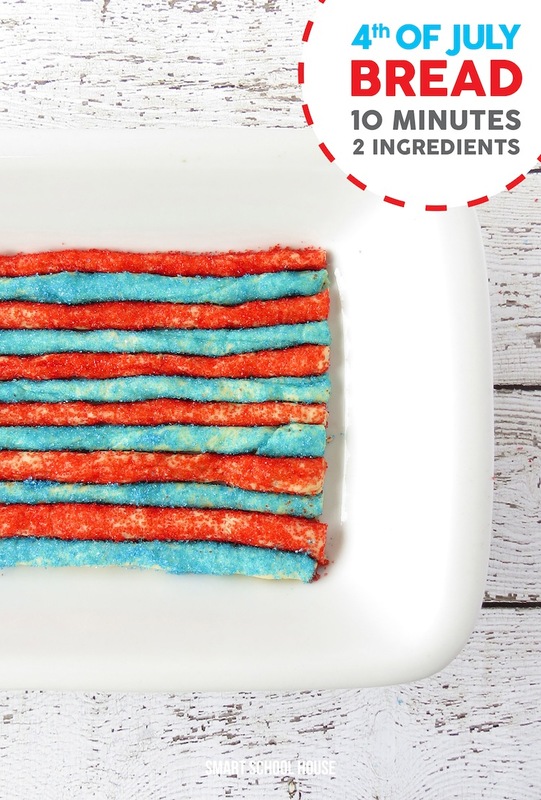 So, have no fear, this 4th of July Bread will take you 10 minutes to make and only requires 2 ingredients (true story! ).